You can rent this video for 10 days for only $5.95. * tired of attending events and being sold to by everyone you meet. * tired of attending events with nothing to show for it afterward. * tired of feeling awkward at the networking small talk. then this webinar is for you! Join Amy D. Kilpatrick, as she walks you through the paradigm shift in the way you are approaching your business development strategy. 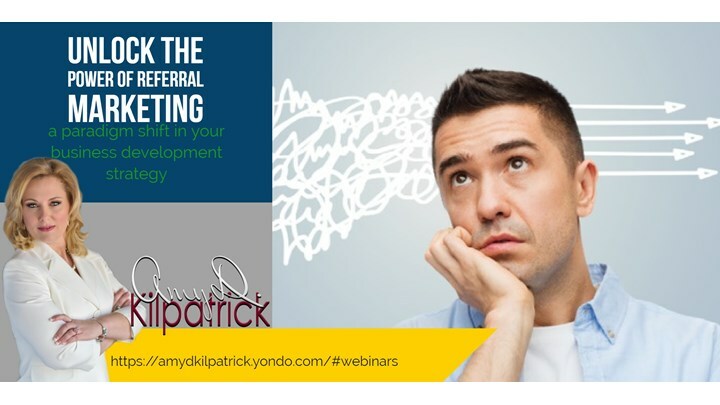 One of the industries leading trainers in the field of referral marketing, Amy D. Kilpatrick, presents, Unlock The Power of Referral Marketing: a paradigm shift in your business development strategy.